This website addresses Parental Alienation (PA) and Parental Alienation Syndrome (PAS). The focus is to provide information and tools for effectively dealing with their destructive nature within the context of family relationships and the court system. While there is currently a tendency to eliminate the use of the word "Syndrome" in such discussions, it is included in this website for explanatory and historical reasons. 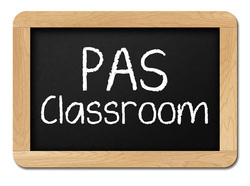 PA and PAS are two of the most destructive and devastating phenomenon that can affect parents, family, friends and especially children. Cases involving these issues are perhaps the most vexing and difficult that exist in Family Court. They require careful and painstaking preparation, analysis of voluminous documentation, preparation of experts and collateral witnesses. They can be difficult to demonstrate in court and include arduous steps that exceed the normal representation of a Family Law case without parental alienation. These cases exploit and wear down the system and do so in the service of the alienation. Since it is well established that children fare best through divorce when they have an ongoing relationship with BOTH of their parents, Dr. Bone describes parental alienation as attacking this important premise, making it a form of Psychological Child Abuse. 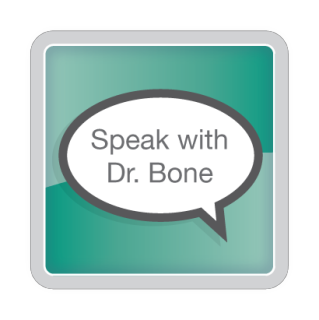 It is from this foundation of understanding and experience that Dr. 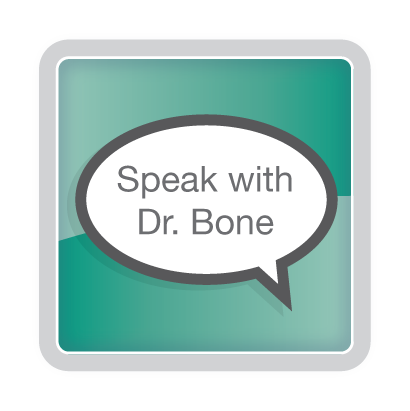 Bone co-founded the National Association of Parental Alienation Specialists (NAOPAS) with Dr. Robert A. Evans. He is committed to these cases being successfully litigated in Family Court and is eager to share his experience, insights and understandings. Upon completion your contact information will be placed on the NAoPAS website for possible referrals. You will also receive updates on recent happenings in the forensic psychology field on Parental Alienation and related topics such as high conflict divorce, child abuse, and many other topics. When a child is resistant to seeing a parent, the reasons can be reduced to two basic phenomena: alienation or estrangement. Within the professional community, these two words have been used interchangeably by various authors over the years. In an effort to reduce confusion that this usage may have caused, there is a growing acceptance of how these two words should be properly used. First, "Alienation" refers to a child's resistance or refusal to see a once loved parent, typically within the context of divorce or post divorce. Alienated children are told distorted and untrue things about their once loved parent, which cause them to mistrust and become alienated from them. The key is that it is not that parent's actions that cause this alienation reaction, but rather it is the influence of the other parent in imparting this, that is the cause. In the case of "Estrangement" it is that parent's own actions that have caused the child to not want to be with that parent. For example a child might become eventually estranged from a parent because that parent is neglectful or abusive, which would mean that this parent's own neglectful or abusive behavior that has caused that child to be resistant to seeing them. Parental Alienation is about mind control. During the alienation process, the alienated child looses their ability to think for them self. There are many replicated studies that clearly demonstrate that we humans are vulnerable to being controlled by outside influences. In 1973 a bank in Stockholm Sweden was robbed and the four adult captives became so influenced and enamored with the bank robbers that they became protective of them, refused to participate in their prosecution, and became their supporters. We now refer to this as the Stockholm Syndrome. Recall that the adults involved in this experience were strangers to each other. Imagine how much more powerful such influence would be between a parent and a child. In the case of Parental Alienation, this concept is useful in that it describes a favorite modus operandi that the alienating parent uses to vilify the targeted parent. In this context, the alienating parent will allege something either entirely untrue or grossly distorted regarding the targeted parent. It is done with such emotion and tenacity, that the audience is typically drawn into its message. Then the alienating parent does the same thing with another listener. Now there is a group of three who all believe the same either untrue or grossly distorted thing. There are now three voices in this chorus, and the intensity level tends to increase with the volume and the numbers of those involved. Then someone in this group of three relates this to another person, who questions it but is told that several other people told them the same thing, so it must be true. This new "convert" to the distortion then unwittingly spreads the distortion to someone else, and to someone else, and to someone else. Rightly or wrongly, we humans do tend to be herd animals. Due to our wiring and our evolution, when the herd is exposed to some message that is potentially dangerous or at least negative, we do tend to give it extra weight, and then pass it on. This is a self protective reflex that is easily exploited by the alienating parent in their mission to obliterate the targeted parent. Socrates, the story goes, is approached by a man who wants to tell him some urgent news. Before he does this, Socrates stops him and says he would first like to ask him three questions before he tells his story. The man agrees. The first question is, "do you know the person to whom this news occurred?" Answer: "No, but I know someone who does know them. " Question two: "did you witness the event yourself?" Answer: "No, but I spoke to someone who was there." Question Three: " Is the news good or bad?" Answer: "It would be considered bad news." Socrates reviews accordingly, "You do not know the person to whom this happened, you only heard about it from someone who says they were there, and it is bad news. Thank you, but I think I would rather not listen to this news." Have you wondered why it is that so many mental health professionals fail to see parental alienation when it is right under their noses? The answer lies in the fact that it is, in its nature, counter-intuitive. When a child is alienated from a parent and closely enmeshed with the other (alienating) parent, it looks like the close looking enmeshed relationship is close and healthy and even protective against the now targeted parent, who is portrayed as being dangerous, unloving or insane. As humans, we are wired to give great emphasis to danger. In fact, we give more emphasis and weight to danger than we do to safety. It is part of our survival instinct and largely responsible for humans being around. Therefore, when the often (but not always) well-meaning mental health professional is met with a parent and a child who appear close, with both expressing fear and/or anger for the other, now absent parent, that mental health professional - being human - takes the first impression they receive at face value. Their intuition tells them that, the other parent "must have done something." While this certainly should not be seen as a reasonable excuse - the mental health professional does have an obligation to be familiar with such phenomena - it is nonetheless a reason. 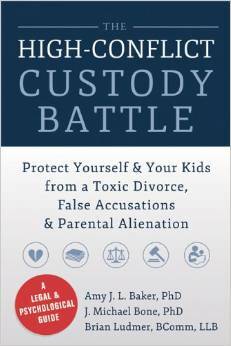 A new resource for those engaged in a high-conflict custody dispute. Learn how to defend yourself against false allegations of abuse and what to really expect when entering the Family Court system. Your best tool is preparation. Parental Alienation can be used incorrectly and misapplied. I have witnessed abusive parents falsely using Parental Alienation claims to aid in their own situation. In such cases, I reserve the right withdraw my services and dismiss any client misapplying Parental Alienation to their case.